Wipro Technologies is a Bangalore based global organisation delivering IT services, business consulting, IT outsourcing and system integration services and solutions. As Wipro grew their business in the UK and Europe, they participated in many local vertical and cross industry business to business events. 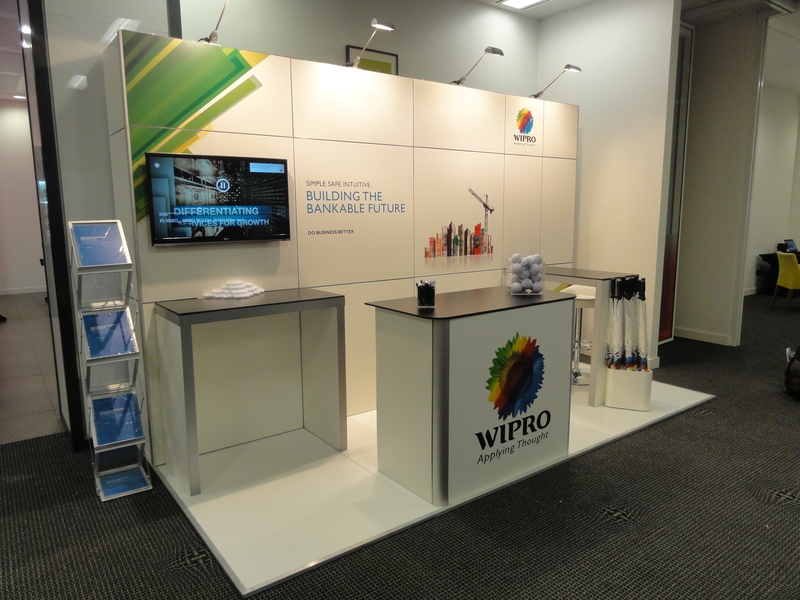 Imagine, already providing Wipro with custom built exhibition stands for larger industry events, were asked to provide a solution for these smaller focused events. 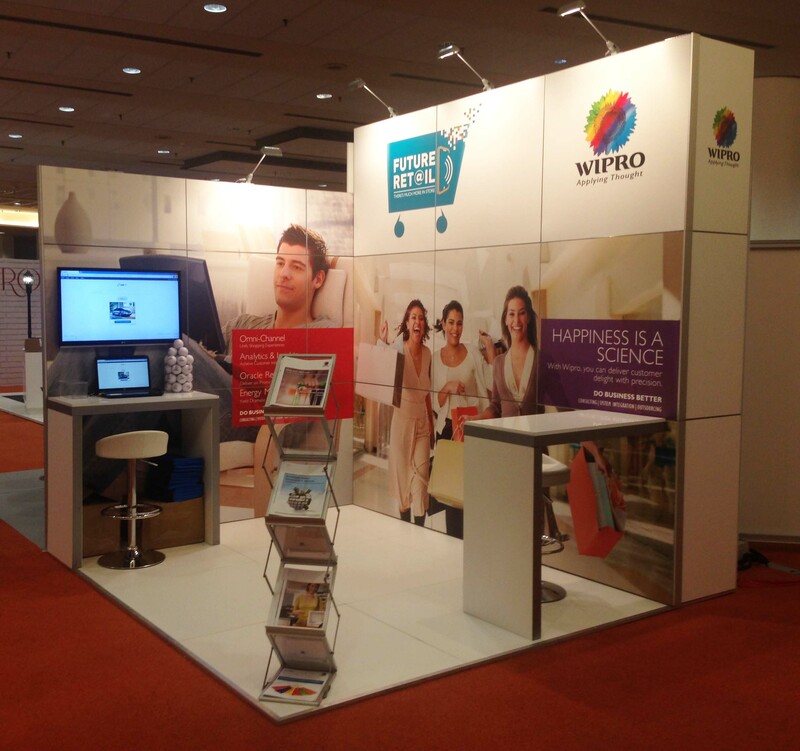 Imagine proposed a flexible modular solution which reflected the Wipro brand and capabilities. The system was adaptable in shape and size whilst still maintaining the corporate style. 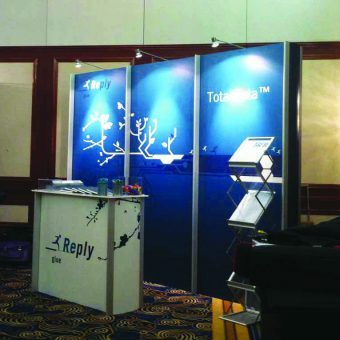 Messaging could be easily changed according to the event and market focus. Imagine manage each project from beginning to end, dealing with all stake holders; venues; planning; logistics; AV, graphics, on-site services and collateral where required. The solution has been, and continues to be used at many UK and European events enabling the Wipro local and global marketing teams to provide excellent support to their customer facing and business development teams. 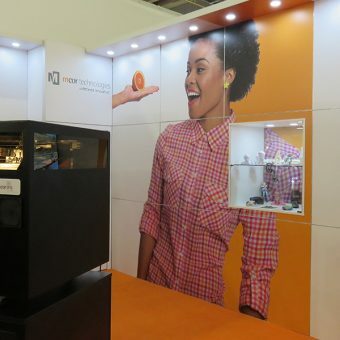 Alongside these projects, Imagine continue to provide Wipro with many other marketing support services: internal and external event management, custom build exhibition stands; branding; graphics; self-assembly displays; corporate and sports event support; collateral and audio visual services.